Antelope season in West Texas is 9 days long occurring from the last weekend of September to the first weekend of October. Hunts are conducted on 100% privately owned ranches covering a vast area with incredibly scenic terrain. 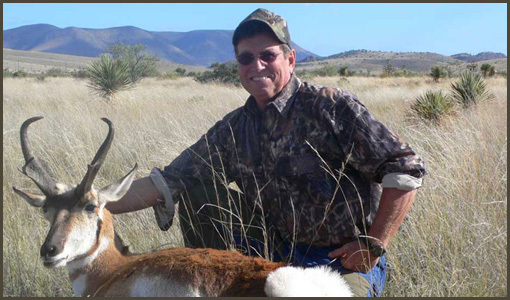 We provide the permit and and success is 100% guaranteed with ample opportunities to acquire a sizable trophy antelope. These animals are lightly hunted due to the exclusive hunting arrangements with these privately owned ranches.